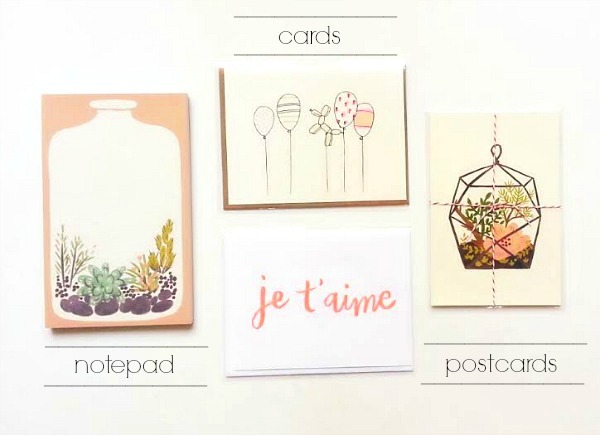 Recently Paper Generation generously sent me these sweet cards and paper goods. The packaging (as with anything) is something I always admire, no matter how big or small the product may be. So as soon as I opened their package, I immediately had a big ol' smile on my face. All the pretty designs! 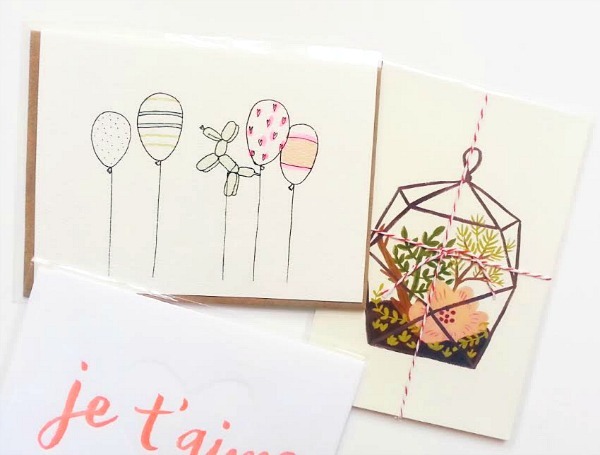 I love how these cards are all created and handmade by independent artists individually wrapped with their own kraft envelope. 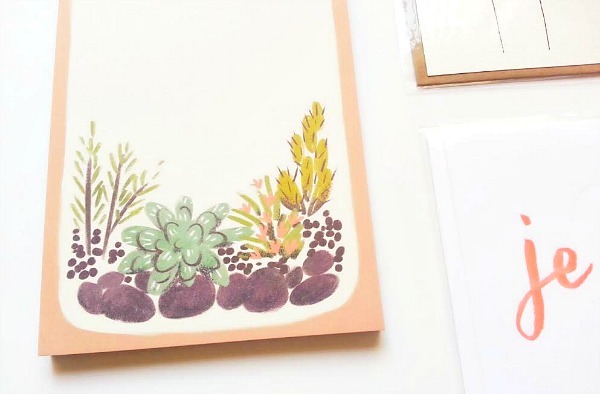 And being the cacti lover that I am, how awesome is this notepad? I don't even know how or if I'm ever going to use it. That paper is just too pretty. Honestly, these designs are all wonderful. I'm not sure if I even want to give them up, especially the hand painted balloon card. This may wind up in a frame on my art wall. Gosh, I'm so happy and lucky that Paper Generation was so graciously thoughtful and sent me such wonderful paper goods. Also, if you follow me on Instagram, you might have seen the giveaway we both recently hosted where two lucky winners received these cute wooden pencils. They're still available in the shop, so if you had your eye on them, get a set while you can. These are so pretty! 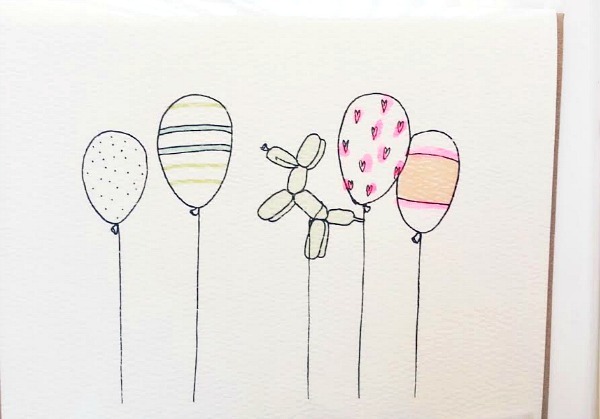 I like the balloon card as well. 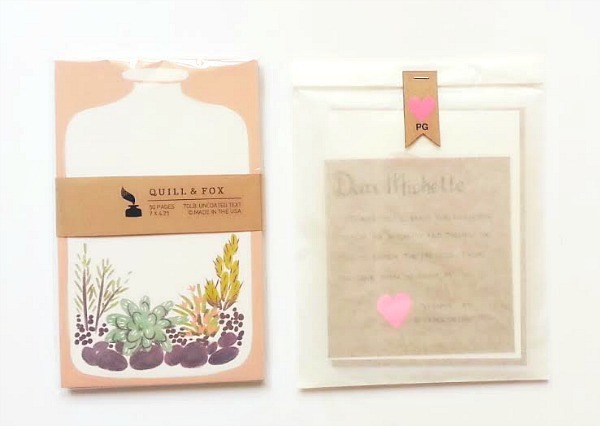 Sometimes when I find a pretty card or gorgeous piece of stationery that I really like I buy two - one for my recipient and one for myself to admire and tada! Problem solved.